Coleen Garcia and Billy Crawford are now engaged, after 2 years of being a couple. 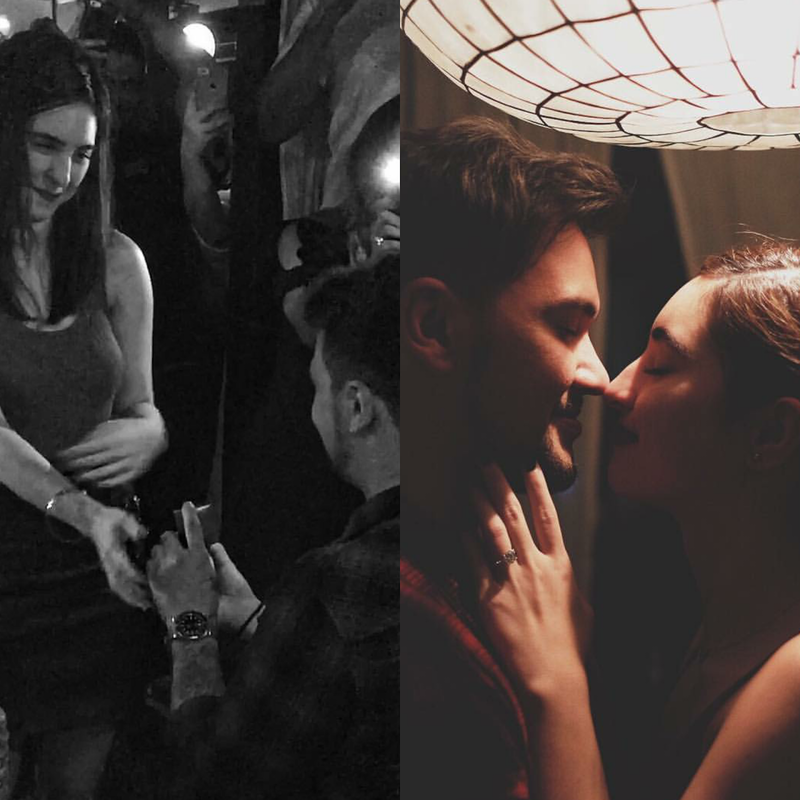 In an Instagram post, director Gino Santos first broke the news that Coleen Garcia said YES to Billy Crawford's marriage proposal by sharing these photos: one showing Billy kneeling in front of Coleen to propose and the other one is a close-up shot of the engagement ring. Billy's sweet proposal to Coleen happened last night at the NINYO Fushion Cuisine and Music Lounge in QC and was witnessed by their close friends, such as Direk Gino, actor Dominic Roque and some others like Erica Ishira, who even uploaded an IG video of the proposal. The soon-to-be bride herself posted in her Instagram a photo of her and Billy while they were about to kiss, with a glimpse of the engagement ring. 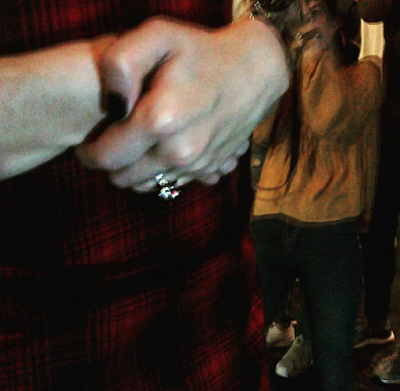 She called Billy as "My Forever". 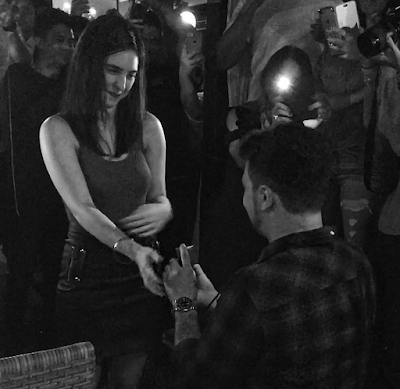 Is Coleen too young to get engaged? The actress, whose showbiz career has just started to bloom, turned 24 just last September. Billy on one hand is already 34 years old, and he said on It's Showtime today that it's already the perfect time for him to propose marriage to Coleen, and he planned for it for 18 months.